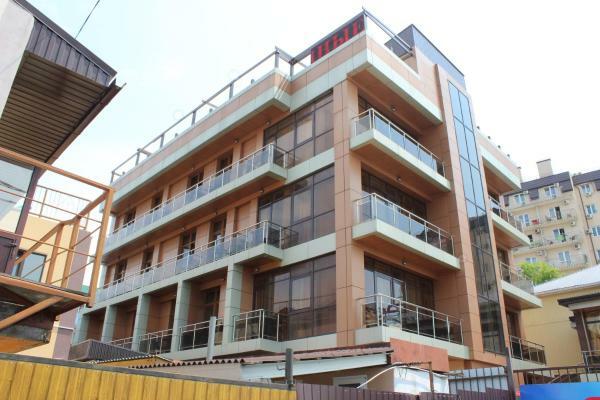 Situated in Dzhubga, Almar Hotel features free Wi-Fi. Boasting a 24-hour front desk, this property also provides guests with a barbecue. The tour desk is available to assist guests in planning their days out. Emily Guest House is located in a quiet area of Dzhubga, 500 meters from the city centre. The guest house offers a sauna, an outdoor pool and children’s playground. Free Wi-Fi is available throughout. 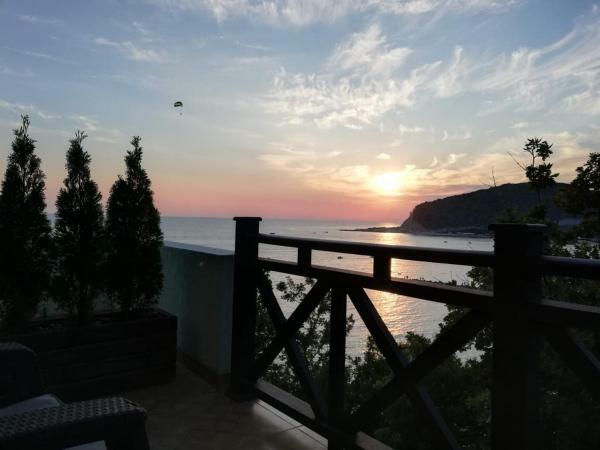 Located a 10-minute walk of the Black Sea beach in Dzhubga, Gestia Hotel features an on-site restaurant serving the local Krasnodar cuisine, modern and spacious rooms, and free private parking. Otel Villa Solntsa has a seasonal outdoor swimming pool, BBQ facilities, a garden and terrace in Dzhubga. Featuring free shuttle service, this property also provides guests with a children's playground. Free Wi-Fi is available. 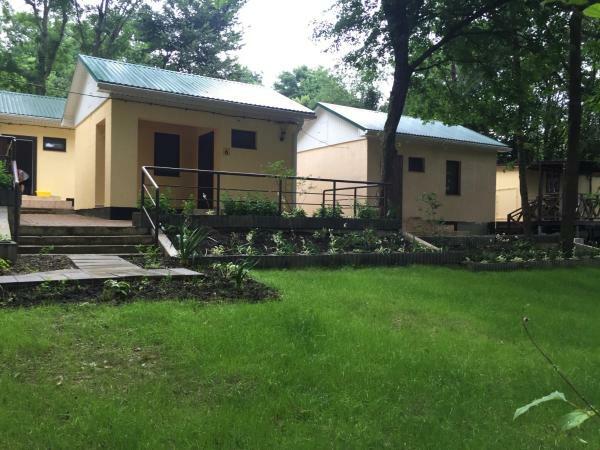 Situated in Dzhubga, Oleniy Ruchey Guest House has barbecue facilities and a shared lounge. Boasting a shared kitchen, this property also provides guests with an outdoor pool. Facilities include a children's playground and free Wi-Fi is accessible. 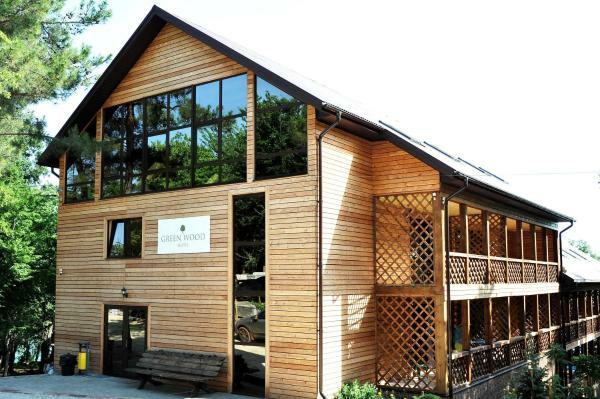 Green Wood provides free Wi-Fi and rooms with air conditioning in Dzhubga. The property has barbecue facilities, as well as a garden. Guests can sample European and Russian dishes at the on-site restaurant. 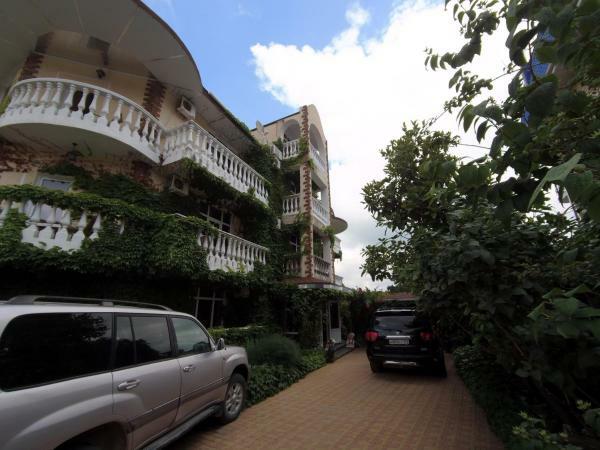 Guesthouse Serafinna is located in Dzhubga and has a garden and terrace. Free Wi-Fi and free airport shuttle service are also available. At the guest house, each room has a desk and a TV. 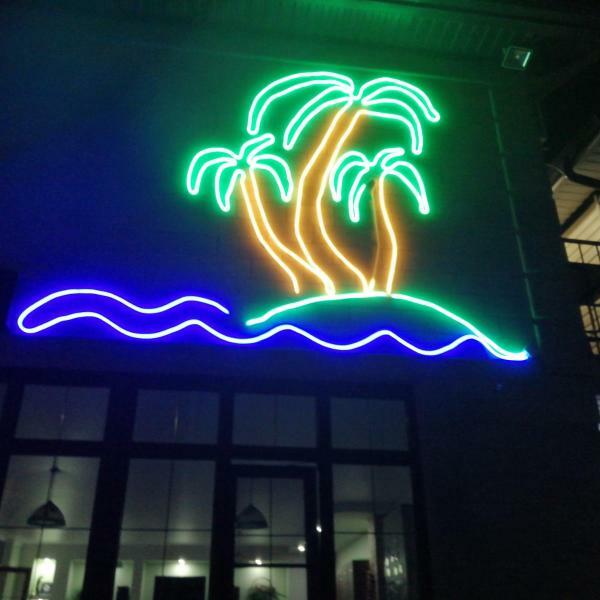 Offering a restaurant, Grand Paradise Hotel is located in Dzhubga, right by the Black Sea. The classic-style air-conditioned rooms feature a minibar and a flat-screen TV. The bathroom comes with a hairdryer and free toiletries. 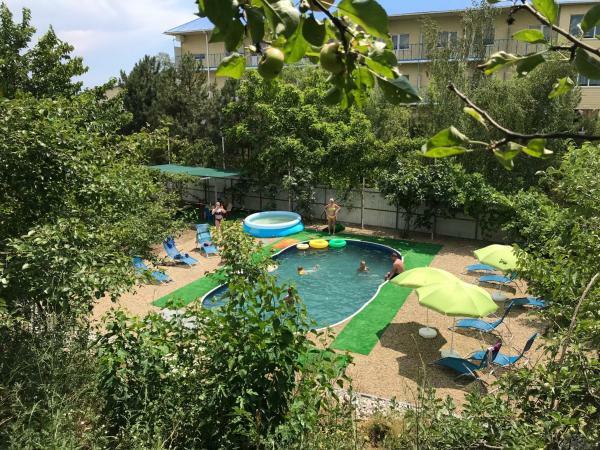 Situated in Dzhubga, only 70 metres from the Black Sea cost, Guest House Elena features air-conditioned rooms and free private parking. Guests can enjoy the on-site snack bar. Every room includes a flat-screen TV, a fridge and a hairdryer. 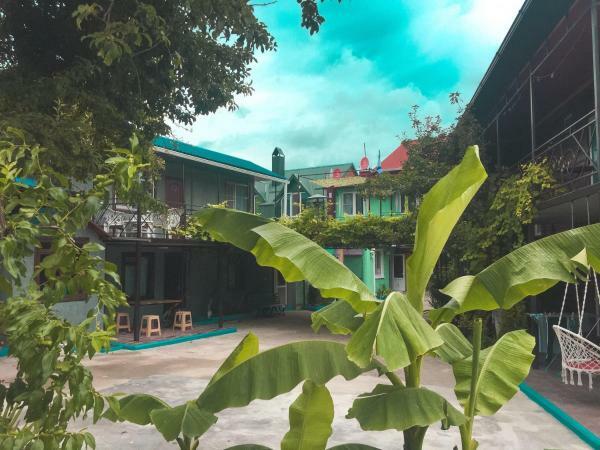 Vesta Guest House is located in Dzhubga Seaside Resort, a 15-minute walk from the sandy beach and pebble beach, and within 5 minutes from the city centre. It features a terrace, a tour desk and a free private parking. 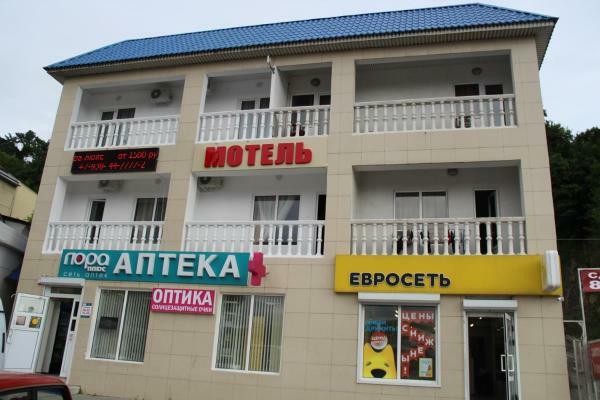 This hotel is located in the centre of Dzhubga, a 7-minute walk from the Black Sea coast. 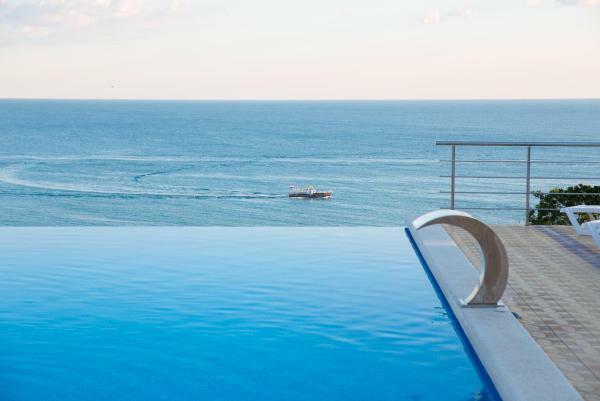 An outdoor pool, free Wi-Fi and free parking are provided at Prestige-Maras Hotel. The hotel rooms offer warm-coloured interiors and classic-style décor. Offering a barbecue and fitness centre, Pushkino Guest House is situated in Dzhubga in the Krasnodar Krai Region, 50 km from Goryachiy Klyuch. There is a water park on site and guests can enjoy the on-site restaurant and bar. Baza Otdykha Rucheek features rooms in Dzhubga. Featuring a shared kitchen, this property also provides guests with a terrace. Hiking is among the activities that guests can enjoy near the guest house. Tuapse is 39 km from Baza Otdykha Rucheek. Situated in Dzhubga, Slava Guest House offers a terrace and bar. Among the facilities of this property are a restaurant, gift shop and sauna. The guest house features an outdoor swimming pool and free shuttle service.